My BFF Kelsey brought her nightstand over this weekend so we could give it a quick facelift. She picked up this cute mid century piece for $10 at her local CCA Resale. We started off by removing the drawer and spray painting it white. 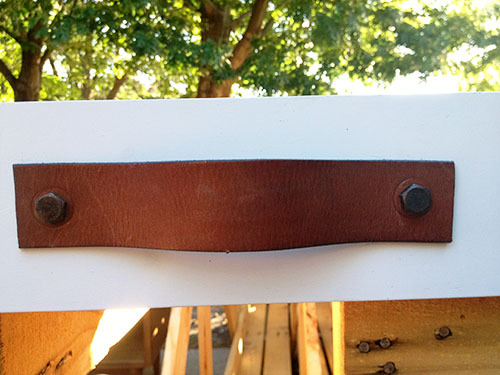 She brought an old leather belt that we used that to make a handle for the drawer. We cut it into a 6 inch piece and painted the opposite side teal for a subtle touch of color. 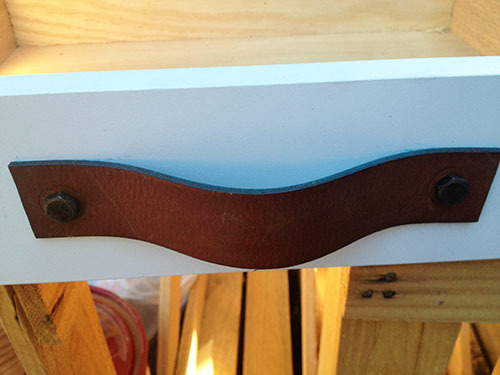 Then we attached it to the drawer using hex screws. 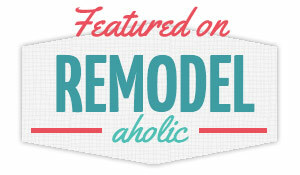 I was inspired by this awesome nighstand makeover from Mandy at Vintage Revivals. See how the blue paint on the other side of the belt reflects on the white? That was a happy surprise! For about 20 minutes of effort, we were super pleased with the results! Now her nightstand suits her personality! I'm in love with the leather handle. I can't wait to try that on one of my own pieces of furniture!